As a light industrial mecca, North Omaha offered businesses a place to try dozens of ideas and launch a number of industries. One of the earliest came from demand, technology and aspiration, and it was vehicle manufacturing. This is a short history of vehicles made in North Omaha. After the first-ever self-propelled car was made in the late 1600s, there were a lot of attempts to do the same again. While Omaha was settled in the 1860s, there were a number of steam-driven engines on wagons in the eastern United States. As more money and innovation came to Omaha by the 1890s, these cars were making their way westward. In these years, there weren’t large-scale car makers. Instead, “tinkerers, mechanics and small companies” led innovation, development, manufacturing and sales of cars. When the gears were shifted towards small companies, North Omaha had a few of the first entities that emerged. The vehicles made in North Omaha included a car, a commercial trucks, and road-grading machines. The Omaha Motor Company factory was launched in 1913 at 4311 N 20th, at the intersection of Florence Boulevard and the Belt Line Railway. It lasted for a year, and was closed and sold off. Here’s an ad for one of the few cars they produced. In April 1912, the Omaha Motor Company began manufacturing the new Omaha 30 car in the Saratoga neighborhood of North Omaha. Located in a factory on Florence Boulevard, the Omaha 30 was designed as a high-end car offering power and sophisticated driving for the everyman. However, the plan didn’t work and the company folded after a year. More than $1,000,000 was lost. For two years starting in 1917, the Douglas Motor Company built a luxury touring car in a downtown Omaha plant called the Douglas Eight. Sold at a “reasonable price,” it was a high-powered car. However, when the company failed in 1918, they reorganized and moved their manufacturing to North Omaha. This 1932 Douglas Truck was manufactured at the Douglas Motor Company factory in North Omaha. Today, its on exhibit at the Durham Museum in downtown Omaha. In 1918, they built a plant at 4024 North 30th Street, where the 30th and Ames Commercial Historic District is today. Retooling their assembly process, this plant built commercial trucks and sold them for the next dozen years. Douglas was a major employer in the community. The Stroud Company exhibit sign at the 1898 Trans-Mississippi and International Exposition in North Omaha. The other vehicle manufacturing company in North Omaha was its most major, yet its least romantic. The Stroud Company was started in 1894 by Thomas Stroud to build road-grading machines that he ironically called the “Little Red Wagon.” For more than 30 years, he built these at a plant on Florence Boulevard near Ames in the Saratoga neighborhood. The factory’s prime location next to the Missouri Pacific Railroad’s Belt Line allowed Stroud to ship his machines worldwide, which he did successfully as orders from China, Sweden and elsewhere were met. Innovations and developments allowed the Stroud Company to keep growing until the 1930s, when the Great Depression sliced their work to nothing. Thomas Stroud had long since retired when his company finally dissipated, and today there’s no sign this business ever helped build roads around the world, or the North Omaha community. 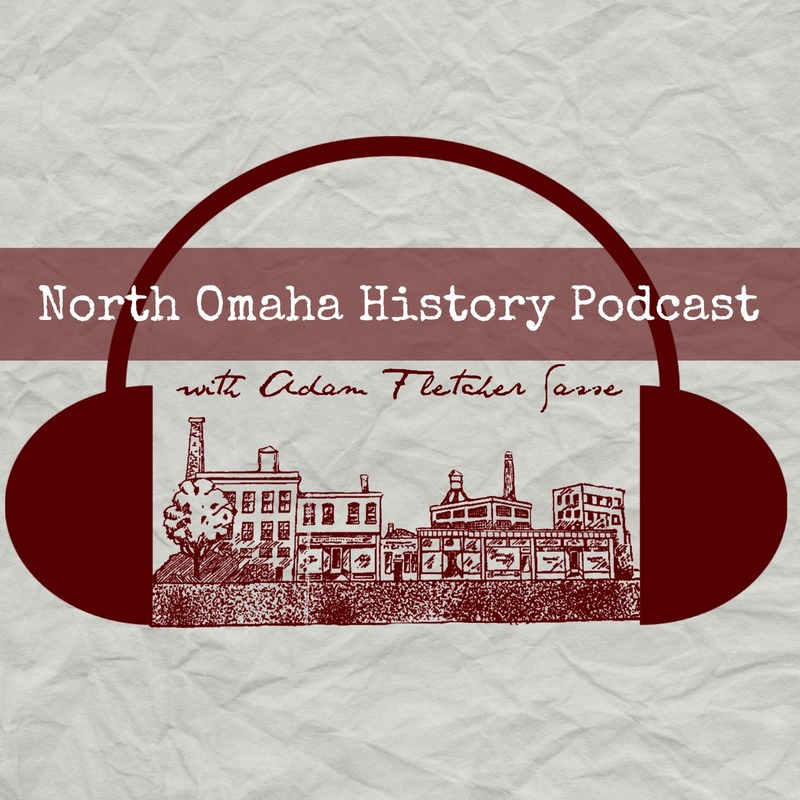 The Overland Trail Tire and Rubber Company was located at North 30th and Taylor Streets in North Omaha for 15 years. During those early years, many other vehicle-related businesses opened shop in North Omaha. In 1920, the Overland Tire and Rubber Company built a big factory at 3015 Taylor Street, also in today’s 30th and Ames Historic Commercial District, and employed more than 100 men. Fred Rudisell started the company in Omaha in 1916 after a long career in the rubber industry, and chose the new factory’s location for its proximity to the workforce, and its location along the Belt Line. Unfortunately, Overland’s business tanked because of the Great Depression, closing its doors permanently in 1934. After Overland, a number of businesses used the factory at North 30th and Taylor Streets. From the 1940s through the 1980s at that location, the Omaha Body and Equipment Company, or OBECO, modified pickups and commercial trucks to serve businesses more effectively. Located at 4400 North 30th, OBECO made specialized truck beds and more until 1984. That year the company was acquired and the brand seized being used. Here’s a bus made by Badger, built on a modified truck from the Omaha Ford Motor Company Assembly Plant across the street. And a slouching guy next to it with a flat straw hat. The last vehicle-related company in North Omaha was at North 16th and Cuming Street for a long time. The Badger Body and Truck Equipment Company modified Ford trucks from the Omaha Ford Motor Company Assembly Plant across the street on the southeast corner of North 16th and Cuming Streets, and after that closed in the early 1930s they kept going. They also manufactured farming and construction equipment. Today, the company still operates in the Omaha area. The future of cars, streets, gas stations and transportation in North Omaha is changing rapidly, just like previous technologies like trains and streetcars experienced. Perhaps there will keep being a role, but its hard to say what it will be. The odds of vehicle manufacturing taking a hold again are slim, but history shows us there was a role. Stroud and Company’s “Little Red Wagon” was a road-making machine. This is a truck at the Overland Trail Rubber Company at 30th and Taylor. This was a sign on the Douglas Truck Factory at North 30th and Taylor Streets in the 1920s. This is an ad for Stroud and Company from 1922, after T. F. Stroud retired.